World Orangutan Day is about awareness, and if you follow this blog at all, you’ve noticed I’m doing my best to make people aware of the evil’s of the palm oil industry. But maybe you’re new, maybe you don’t know that elephants are killed for wandering to close to palm oil plantations, because they crush the non-native palm trees that have replaces the natural jungle on the islands of Borneo and Sumatra. I’ve shared this photo before, but I think it’s time is made a reappearance. 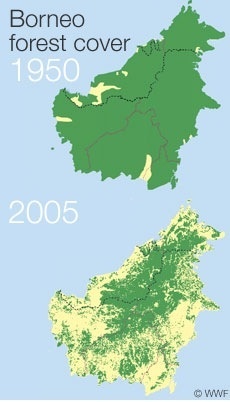 The deforestation in the last 50 years is astounding. You can take a plane flight over Borneo and see only palm oil plantations for hours and hours. Every time a new palm tree is planted, it means another orangutan won’t be able to find food, another will be killed for wandering into the part of the forest that it used be their home. 12 orangutan deaths every single day are related to the palm oil industry. Thats not to mention how many are taken as pets. It is a status symbol to lock up a baby orangutan in a tiny crate and keep it out side your house. Now people will hold on to these for maybe one or two years before they will sell them to sanctuaries. It’s a problematic cycle that some sanctuaries will pay money to rescue the baby orangutans, which in turn has made is a sort of business. But how the babies are captured is the truly horrifying part. The mother orangutans are shot and when they fall from the tree, the baby is pulled from its mothers lifeless body, if the baby survived the fall that is. 1/4 times, they don’t, and both mother and baby will die. Now, the main concern is education. People do not know about palm oil. There are products that use sustainably sourced palm oil, and there is a quick and easy app to find out which companies. You can also stay informed about how the Indonesian and Malaysian government is protecting its orangutans. Recently there was a scare that the government would approve 4 million acres of previously protected land for use for palm oil plantations, paper farming and mining. Keep Borneo green, protect the orangutans, and say NO to palm oil. Check out the official World Orangutan Day website. Or Donate! 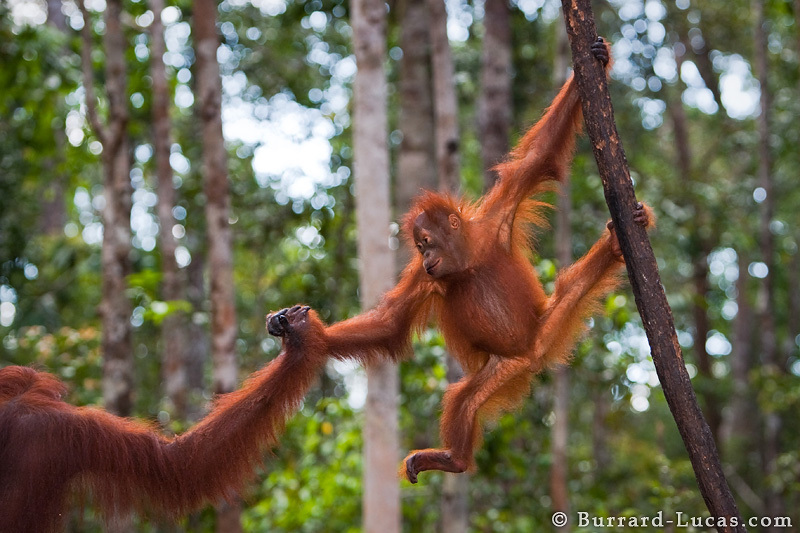 I did just donated 25$ to the Orangutan Land Trust, to give orangutans back the forest they deserve!.